Find & Keep Ms. Right! The System is the only course in the world to answer why a woman chooses to stay with one man versus another. 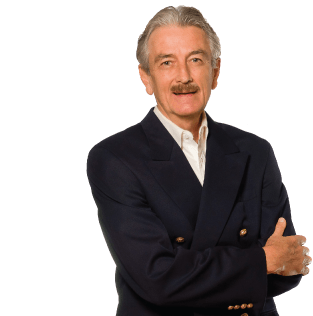 Want greater success with women? 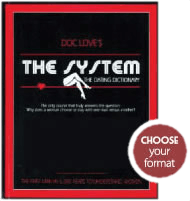 Then you need to read Doc Love's The System. 2 FREE Radio Shows from The Doc Love Club - including one that featured callers from SIX DIFFERENT countries! Enjoy! FREE 7-day dating course, 4 free chapters of the SYSTEM Audio Book plus a free MASTERY IV article & weekly emails - tons of content! Since 1965 Doc Love has been man’s best friend in giving advice on relationships and dating women. He has his own worldwide radio show heard every Wednesday for an hour on Blog Talk Radio, written a popular column on the #1 Men’s website in the world, AskMen.com (featuring dating and relationship advice for guys) and has been featured in countless major media appearances, including FOX News, Time Magazine, The 9-5-0/Houston, KIIS/Los Angeles and many more.